Recording artist Jordin Sparks has her photo taken at the VIP reception. Photograph by James R. Brantley. 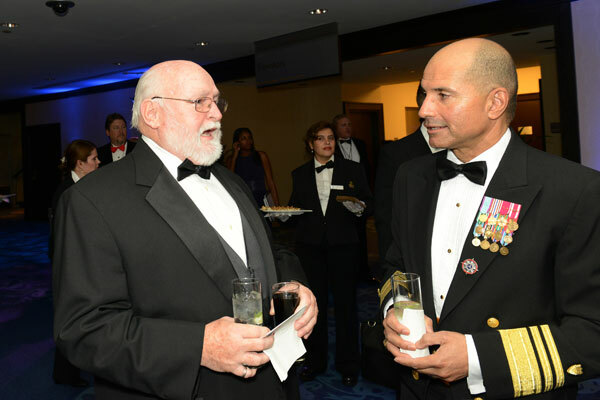 Nicholas Beane chats with Vice-Admiral Manson Brown before the event. Photograph by James R. Brantley. 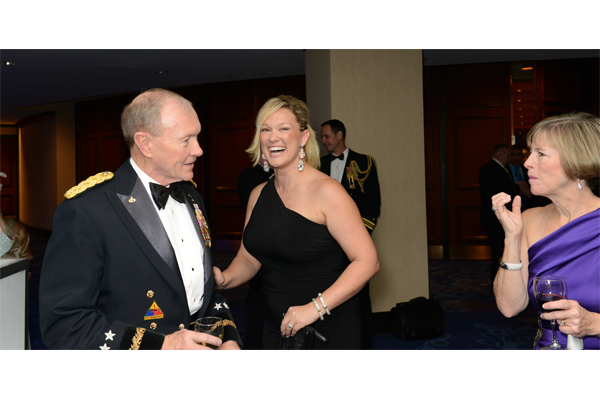 Chairman of the joint chiefs of staff General Martin Dempsey and “MasterChef” winner Jennifer Behm laugh it up as Deanie Dempsey looks on. 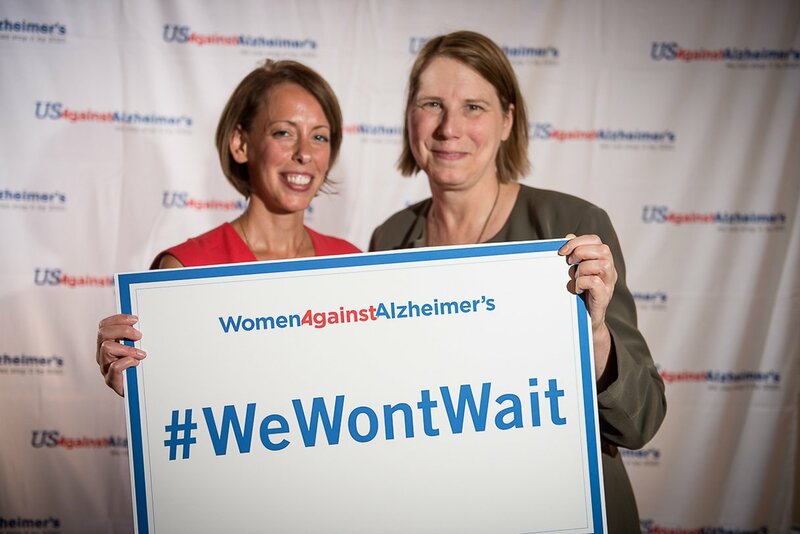 Photograph by James R. Brantley. 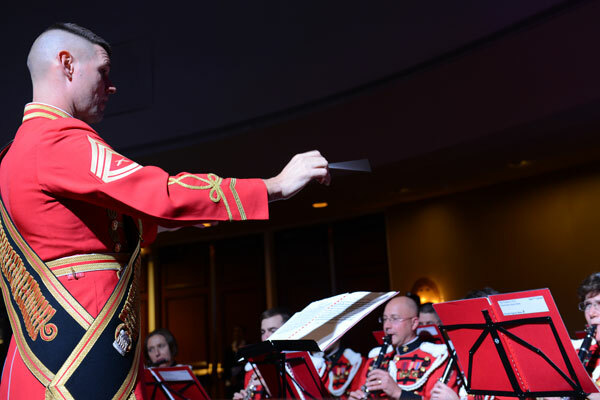 The US Marine Corps Band play as the room fills. Photograph by James R. Brantley. 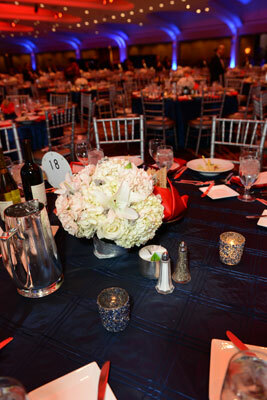 The table settings included a beautiful bouquet. Photograph by James R. Brantley. 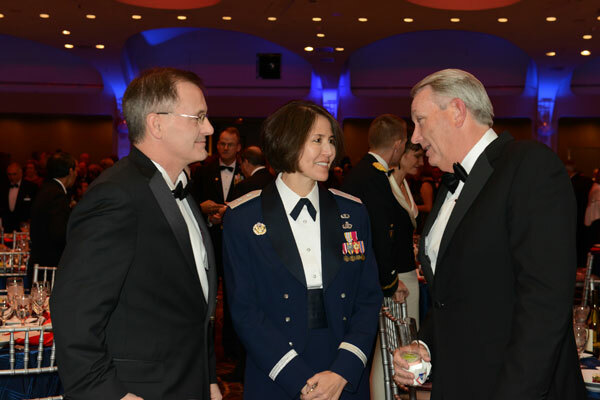 Doug Dunbar, commander, Air Force District of Washington; Major General Sharon Dunbar; and Chevron’s Steve Green. Photograph by James R. Brantley. 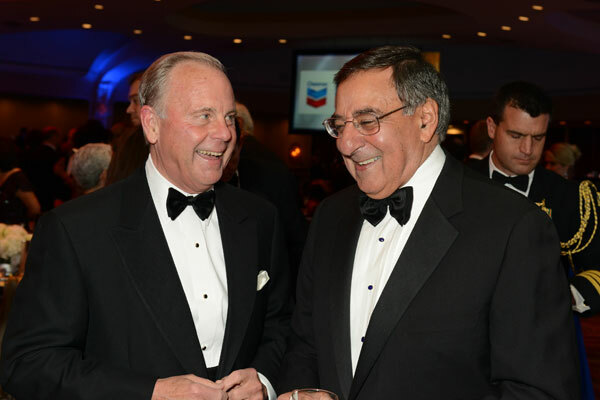 Former White House chief of staff Thomas “Mack” McLarty and Secretary of Defense Leon Panetta. Photograph by James R. Brantley. 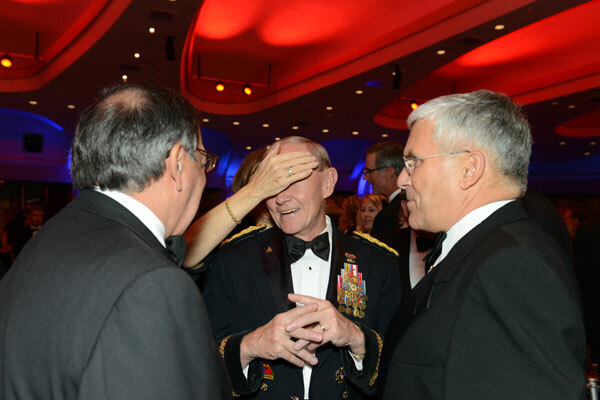 While talking with Secretary of Defense Leon Panetta (left) and former army chief of staff General George Casey, current chairman of the joint chiefs of staff General Martin Dempsey finds himself playing “Guess Who?” Photograph by James R. Brantley. 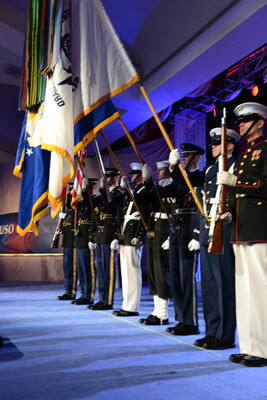 The Color Guard stands at attention. Photograph by James R. Brantley. 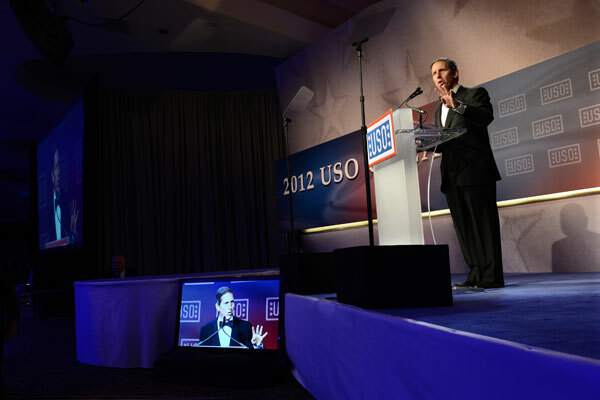 USO president Sloan Gibson addresses the guests. Photograph by James R. Brantley. Singer Jordin Sparks takes the stage. Photograph by James R. Brantley.